One of the highlights at the market place of Retz: The Verderber – Haus. The architecture is very special. Do you see that the building offers two different types of crenellations? Another interesting detail is a colorful relief above the gate. 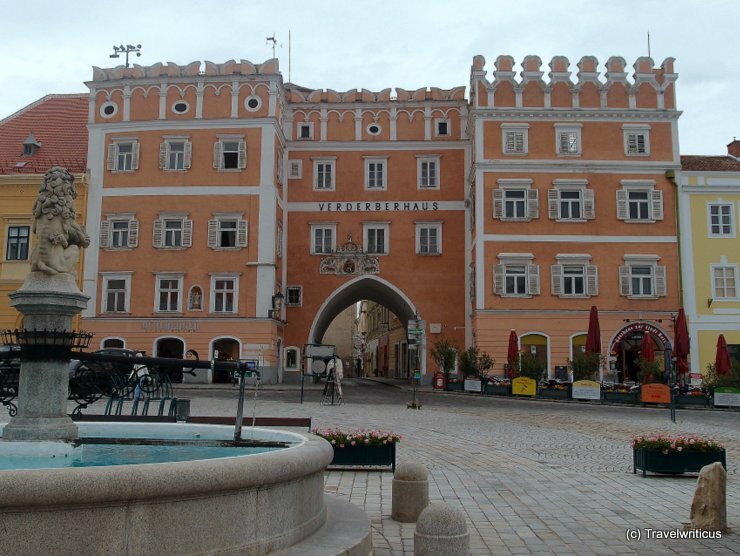 This entry was posted in Architecture and tagged Austria, Lower Austria, Retz, Weinviertel by Travelwriticus. Bookmark the permalink.